Love the splash back - what colour is it? Can you let us know the color of the splash back in this photo? 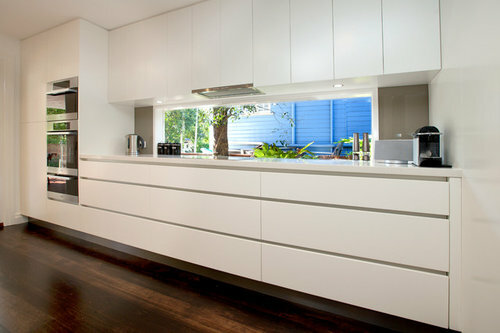 White glass or mirror splash back in kitchen?? 3 shades of grey splash back not sure what one?